They can prevent gate crashers. You might have had prepared a guest list that sums up the people you want at your party, but you had best believe that won’t deter certain individuals from intruding. But, when you hire Private Security in Orange County, California to manage the perimeter, you will have fewer things to worry about. They can establish crowd control. When you’re planning an event with a lot of people, things will have a tendency to get crowdy. An excitable crowd can cause injury to guests and damages to property. (While it may be a rare occurrence, it’s not impossible either.) However, when you have Security Patrol Services in Orange County at the ready, you will have no problem in making a large group of people act in their best behavior. They can help you meet the requirements of a venue. Depending on where your event is going to be held, certain venues may obligate you to have security personnel. These professionals won’t just be tasked to secure the area, they can also subdue any altercations that may arise. They can give guests reassurance. 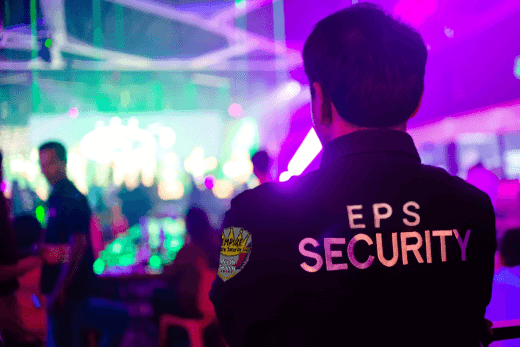 If you have a couple of VIPs on your guest list, then that’s all the more reason why you should have Empire Private Security, Inc working on the job. With a highly trained and reliable team of security personnel on the watch, you will have a higher chance of ensuring a positive review from everyone who attended. They can discourage crime or theft. When there’s an event, people tend to get distracted by what’s happening. (Who can blame them when you have an eye-catching program prepared?) Unfortunately, this can cause your attendees to lose focus of their valuables and belongings. But when there’s trusted security personnel roaming the area, crooks will have to think twice before submitting to any misconduct. This entry was posted in Security Personnel and tagged Professional Security, Safe Events, Trusted Securities. Bookmark the permalink.